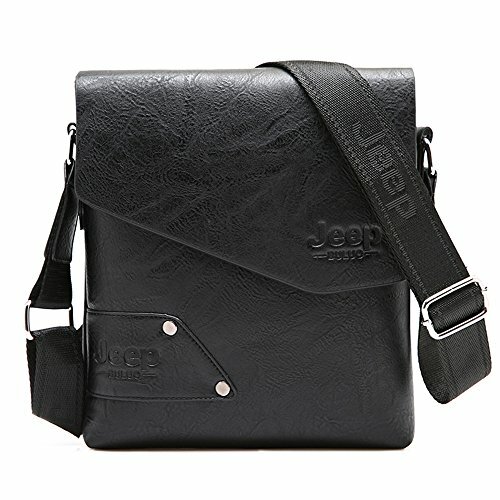 This Messenger Bag is made of Cow Split Leather Trim. Cow Split Leather Belongs To Compound Leather，Cow Leather + Pu. The distinguishing feature of cow split leather is that The leather surface HAS RANDOM wrinkles, scars, scratches that has a retro style. When you pick up the leather, you can see the allochroic grounding.The longer it is used, the more shiny, soft and smooth to the touch it will become. Magnetic Snap Design:Two magnetic quick snap buckles on the flat of bag, its design is convenient and easy for you to access. If you have any questions about this product by JEEP BULUO, contact us by completing and submitting the form below. If you are looking for a specif part number, please include it with your message.